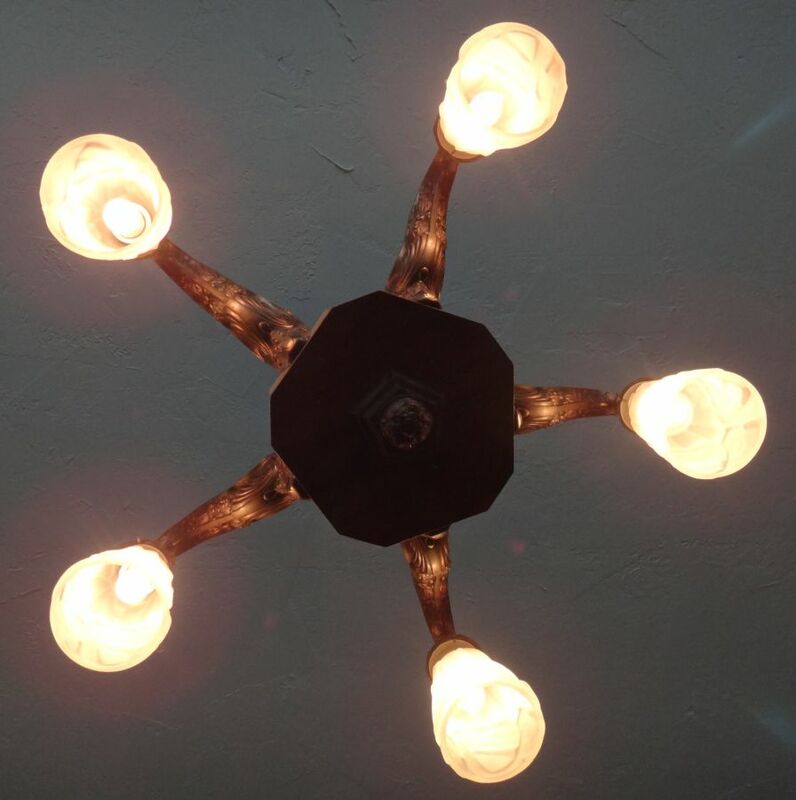 - Height: 46" drop - Diameter: 26"
1930's original French Art Deco chandelier. The center section is Burl Walnut and the metal is solid brass. 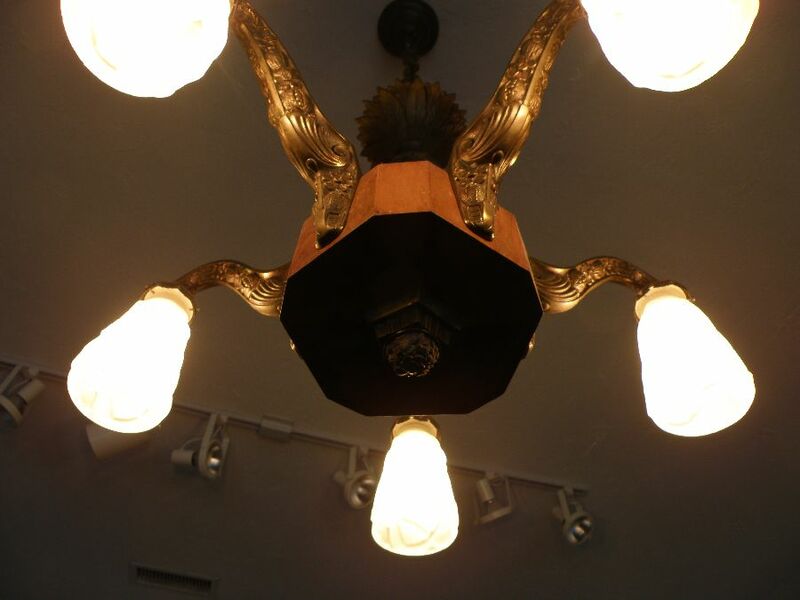 The center section is 10 sided with a stepped brass finial. 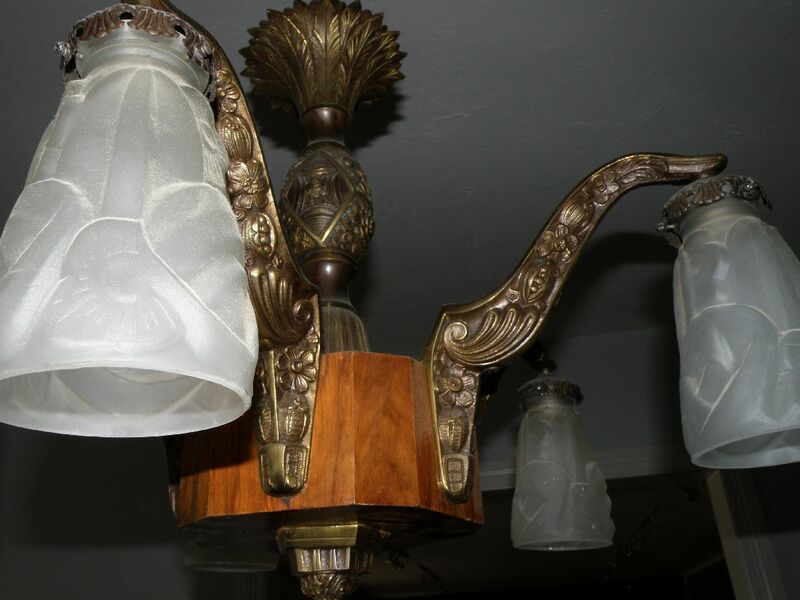 The design features classic French Deco geometrics as well as flora and fauna. 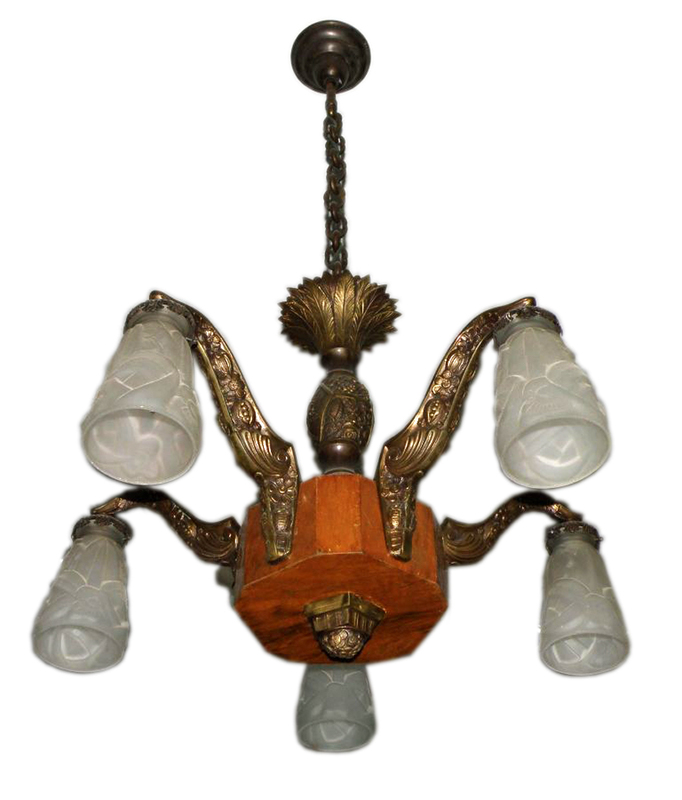 The chandelier features five fixtures with frosted shades also reflecting the same classic French Deco design elements. 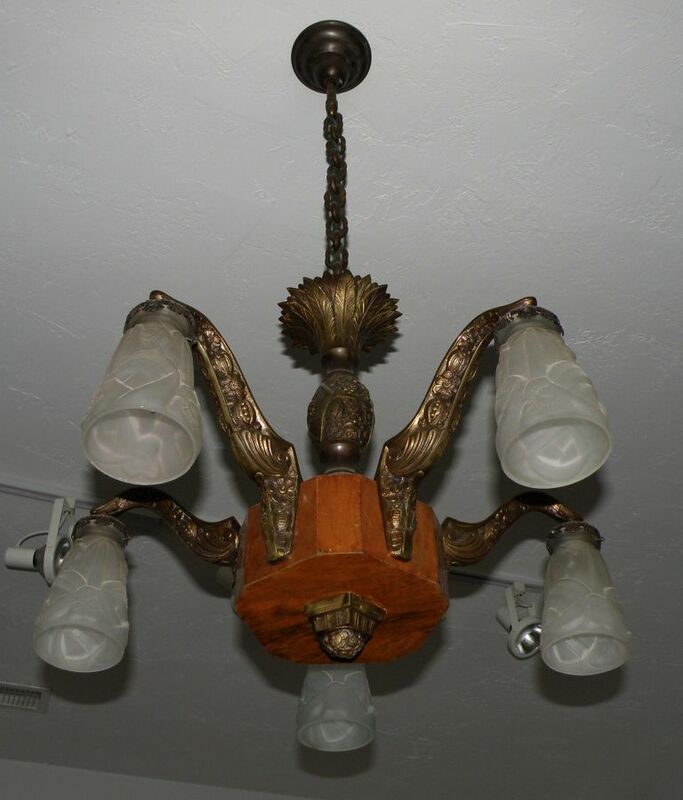 Overall dimensions for the chandelier are 26" diameter with a 46" drop, which includes the ceiling canopy and chain. 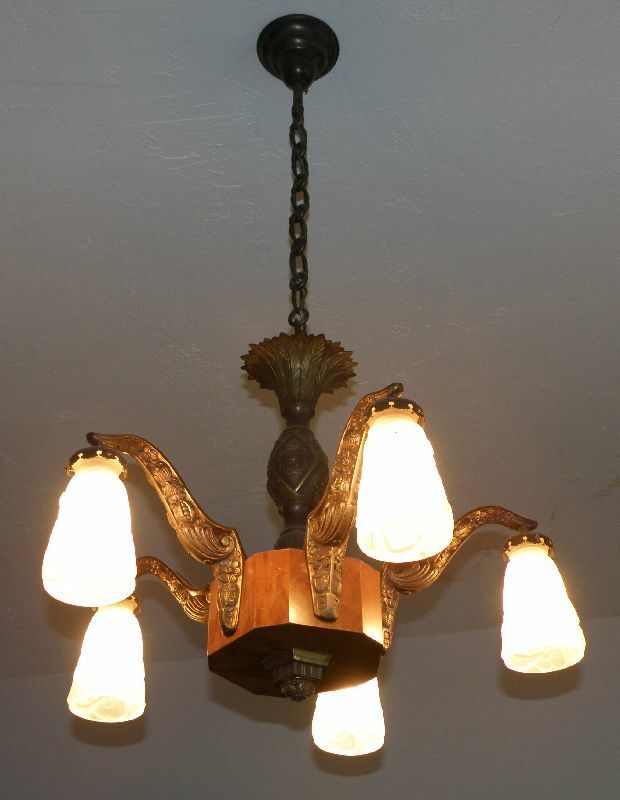 The chandelier itself is about 20" tall with the canopy and chain adding 26" inches in height. 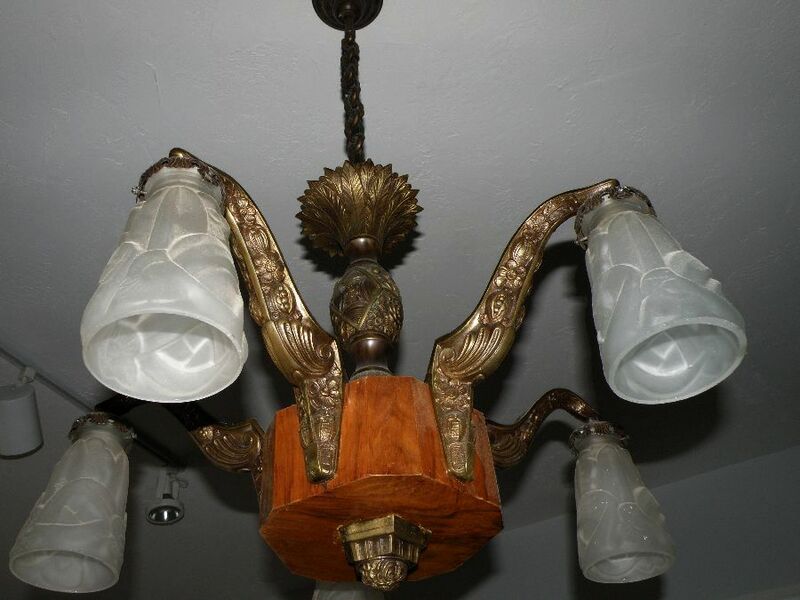 An elegant and tasteful large French Art Deco chandelier that would make an excellent selection for formal dining, library or entry hall.